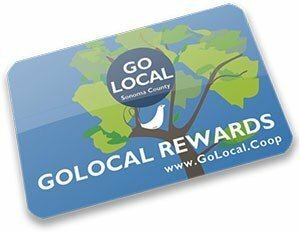 Get a free GO LOCAL Rewards Card with purchase at select GO LOCAL Reward Merchants. 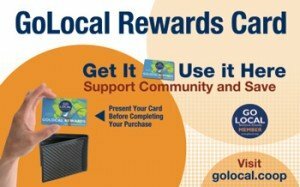 Get your GO LOCAL Rewards Card. Register your card by filling out the form and giving it to the merchant where you got your card, or registering your card online now. Merchants offering “show your card” rewards will give you a discount or reward for simply showing your card. Your card is not swiped, and these rewards are not tracked online. Manual registration: If you filled out a registration form at a store where you got your card, within around 4 weeks you’ll be notified by email. After registration is complete you’ll get an email from us with a username and password so that you can log in to golocal.coop to view your GO LOCAL Bucks balance and loyalty progress whenever you want. If you didn’t fill out that registration form connecting your card number with your name and email, you can still use your card; you simply won’t have online access to your balance. Privacy is important to us local folks. Your email will only be used by GO LOCAL/Sustaining Technologies, and optionally by the merchant who issued your Rewards Card; your information will not be distributed or sold to any third parties. You’ll receive customized email updates from GO LOCAL with your Rewards Card activity and monthly e-news, and you have the option to opt out of both at any time. 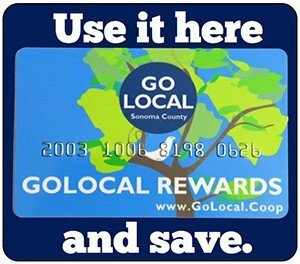 If you lost a card and need a replacement, just email info@golocal.coop with your card number and mailing address, and we’ll send you a replacement. 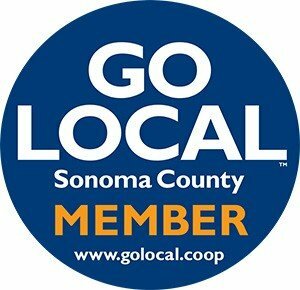 If you changed your email address, just email info@golocal.coop and we’ll update your user profile.